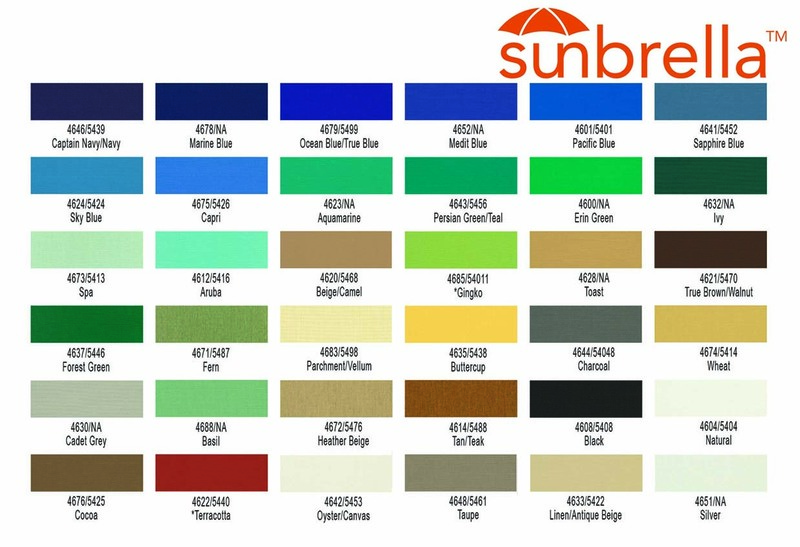 The Augusta 6 foot square market umbrella is made with a FiberTeak aluminum core one-piece 1 3/4" pole. A 6" FiberTeak hub holds the Pulley and Pin Lift system that is easy to use. 3/4" diameter flexible fiberglass ribs with molded nylon joints are resistant to the wind. 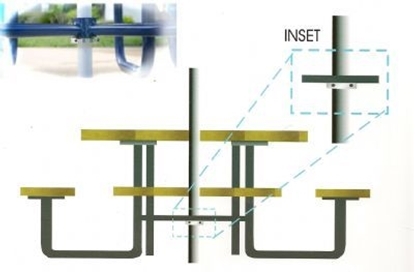 Single sewn-in vent and storage ties come standard. 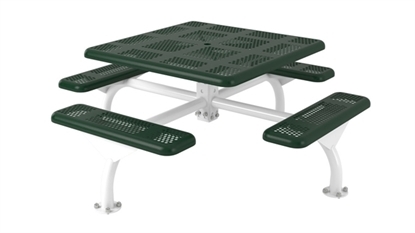 The canopy is made of marine grade solution dyed acrylic fabric. 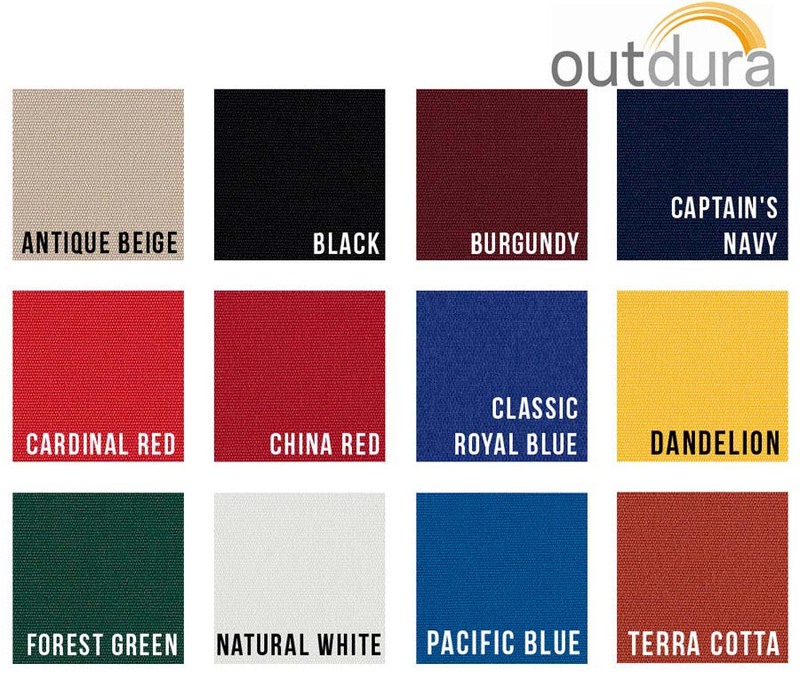 Choose from two of the best marine grade fabrics - Outdura or Sunbrella.